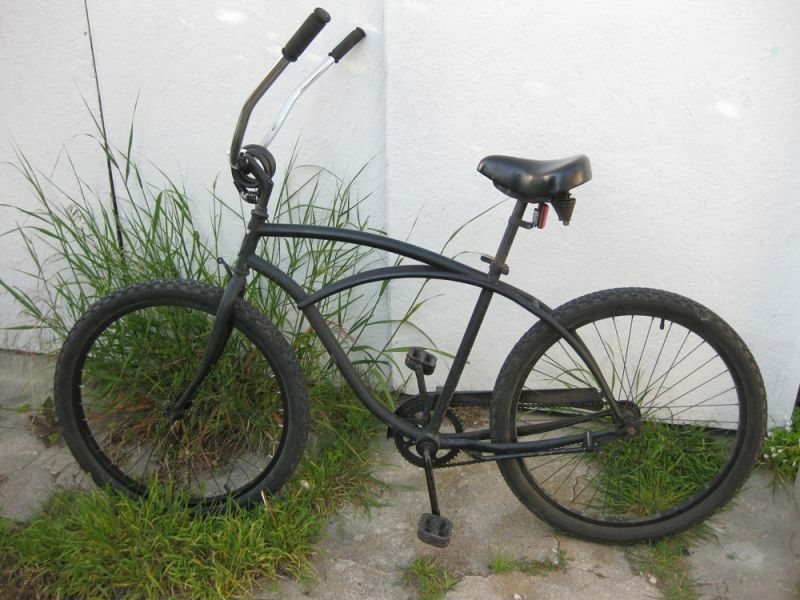 A beach cruiser is a low-performance bike made for cruising in comfort. Do not be fooled by the name; they are not for riding on the beach. They are, however, perfectly suited for riding to the beach, around the beach, or anywhere people are feeling beachy, even if no beach is in sight. They generally have a one-speed gear system and have foot brakes so you can use your hands to carry beer. Baskets are not out of place on a beach cruiser, and neither is beer out of place in the basket. Large handlebars are great for a cruisy upright riding position. Many people feel black is the best color, but pastels are nice too.